The use of trading algorithms and bots has found its way into the crypto industry. With large bank account wall street financial institutions joining the crypto bandwagon, apart from increasing the market cap of the crypto market, this established organisation will be forced to invent trading bots well suited for trading the crypto market, just as they have with other market types. As good as the news of major players in the financial industry moving into the crypto market, accompanied by their trading bots, retail traders generally don’t have the cash power required to build trading bots. This is where platforms like the WolfpackBOT comes into play. Unlike most other trading bots you will find on the market, the WolfpackBOT is powered by blockchain technology. This makes it unique and more than just some tool designed to make money for crypto traders. 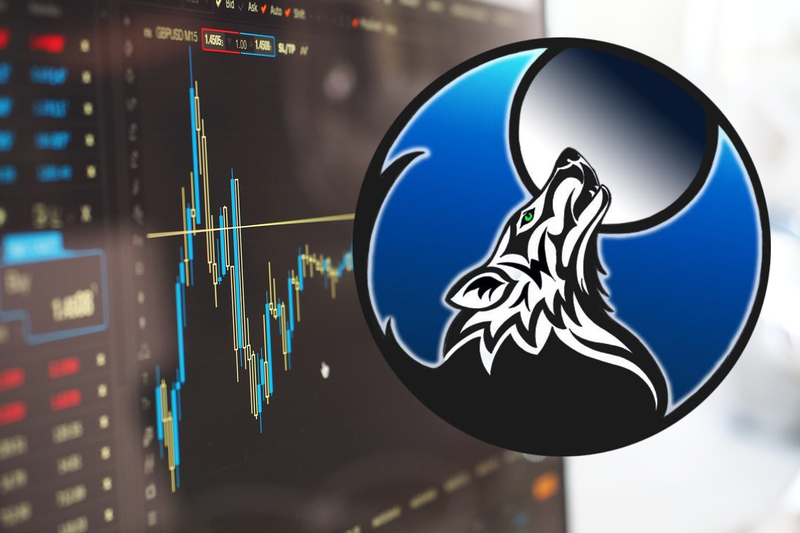 The WolfpackBOT project has a WolfpackBOT Trading Software, an optional Hardware Console for its WolfpackBOT trading software and removable Hardware Wallet, it’s called the WolfBOX. The platform has integrated Bitpay and Coinbase wallets. Currently, the platform is listed on several top-ranking masternode platforms such as Zcore, masternodes.pro. masternodes.online, and Gentarium. According to the team, the coin will also be available on some of the top 30 crypto exchanges globally. The following exchanges were mentioned, P2PB2B, Exrates, and LocalTrade. The addition is expected to take place once the crowdsale is over. In bids to increase its user base and also to bring in more investor at a cheap rate, the WolfpackBOT platform has launched a Crowdsale. Taking advantage of this crowdsale, investors will be able to buy the Wolfpack coin at ridiculously cheap prices. The crowd sales will happen in three different stages, each with different pricing. Currently, the crowdsale is in its final stages. According to the team, the Final Stage of our Crowdsale will be conducted somewhat differently from Stages 1 and 2. Final Stage Pricing – The Final Stage will still end with a price of $0.20/WOLF; however, the Final Stage starting price has been lowered to its Stage 1 value of $0.10. With each passing second, the price of each Wolfcoin will increase by $0.0000000108 until we reach the Final Stage Value of $0.20. Stage 2 Bonus Fulfillment – Those who purchased WOLF at $0.15 during Stage 2 will automatically be awarded additional bonus WOLF, meaning that all who contributed during the first two stages of our Crowdsale will have bought-in at a value of $0.10 per WOLF. The project has reinstated its referral program, stating increasing demand as a reason. According to the team, when those you refer make a contribution to the WolfpackBOT Crowdsale using your unique referral code, you will receive a bonus that equals 5% of the amount that your friends contribute. With the ongoing crowdsale and several events lined up for after the crowdsale, buying the coin now at a cheap rate could be one of the best decision you will make in recent time.